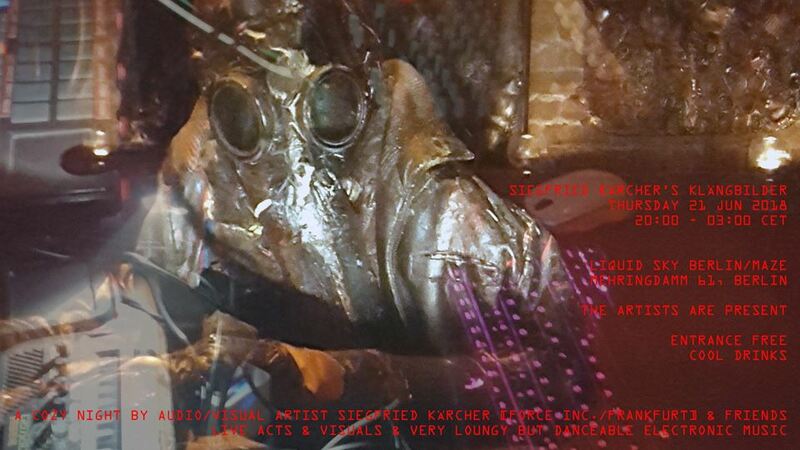 A cozy Night with Audio/Visual Artist Siegfried Kärcher [Force Inc./Frankfurt] and Friends. Tonite they will connect Fragments of the Cult Silent Movie “Berlin: Symphony of a Great City (Berlin: Die Sinfonie der Großstadt)” with Live Visuals and very loungy but danceable Electronic Music (80-126 BPM). There will be Live Painting at 21:00 CET and some Sonic Live Experiments with Bill B. Wintermute & Siegfried Kärcher at 2:00 CET. Experience full Analogue Dirt Vibes from the tiny Korg Monotron Synthesizer Family in companion with Ableton Live’s new Wavetable Synth over Fragments of the Silent Movie Classic “Berlin: Symphony of a Great City (Berlin: Die Sinfonie der Großstadt)”. Dr. Z is an audaciously versatile DJ & producer from Frankfurt, proficient in a wide variety of musical styles. His special interests include current and historic electronic music, soundscapes, music from Japan and Africa. For Siegfried Kärcher’s Klängbilder he delivers a mix of music ranging from strong dubby, trippy & ethnic infusions to a rather down-to-earth and bluesy approach. The set will be blended with some live remixes of Dr. Z’s own neo-kosmische Beats & Downtempo.